Joshua Spine & Health Center | chiropractic, nutrition, massage, wellness, rehabilitation & strengthening of the body, spine & soul. 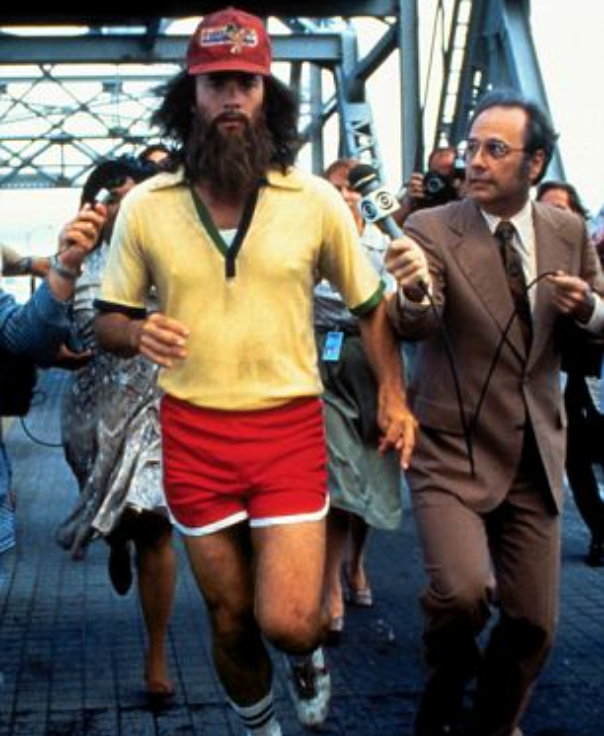 The most important thing I’ve learned in my chiropractic practice when taking care of running athletes is that when injured, a serious runner doesn’t want to stop even after their body forces them to put their running on the shelf. My professional advice to all running athletes is to set the time aside to take care of the body, legs, and feet with an injury prevention program and smart training techniques before injury occurs. Avoid chronic overuse problems that develop over time from poor running mechanics, worn-out or improper footwear, inconsistent preventative measures such as stretching, warming up, corrective exercise, massage, and chiropractic. Incorporating all of these into your injury prevention program can be helpful to make you a healthy and capable runner. Here are the 3 most common overuse injuries that I see in my office. The very best tip I can tell the runner’s out there is to get properly assessed by a healthcare professional and set the time aside to maintain your body before injury occurs because running is a very demanding sport or form of exercise. If your car needs it’s oil changed and tires rotated every 3000 to 5000 miles, what will your body require to keep going? Take care of your body because you only get one. With the recent reports of measles state by state across the United States a question comes to my mind. No, I’m not going to ask if everyone in your family has gotten or is going get their measles vaccine. My question is, what are you doing to support you and your family’s natural immunity? Recently, whether to vaccinate or not has be a controversial topic with the measles outbreaks at Disneyland and more recently across several states including my own state of Texas. Even politicians that once spoke out against vaccines and their adverse reactions are eating their words and are seen on national television receiving, the once again ineffective, flu vaccine to make the main stream media educated masses happy. Maybe it’s not about losing voters but maybe it’s losing the big pharmaceutical company’s campaign money that they’re worried about losing. Pharmaceutical companies are some of the richest companies in the world with 70% of the U.S. population taking some kind of prescription drug and spending loads of money in Washington with all their lobbyists. After all, how educated is the average voter on the pros and cons of immunizations anyway? More than half the people that come in my office on their first visit don’t even know what prescription drugs they’re taking and why. So, I’m sure the average voter isn’t researching the dangers or effectiveness of vaccines at the library but they are probably seeing a nightly 30 second report on the evening news scaring them that we’re all going to get measles and die. I’m not writing this blog to tell you whether or not to vaccinate your children. I’m writing to help you find natural ways to support your body’s inborn natural immunity. I do encourage one and all to do the research before making the crucial decision of whether to receive vaccinations or not. Don’t let the media scare you but find out for yourself and make the best decision you can for your family. There will be some references at the bottom to help you start your search. Here’s question number one for you. How can we support our body’s natural immunity so we don’t get sick? Support proper FUNCTION! Now, let’s think deeper. How can we support the proper function of our bodies? If you’re not sure, then think even further. What controls all functions in your body? THE BRAIN and Nervous System! Our brain controls every single organ, tissue, and cell in our bodies and how they all function. Without the vital energy that our brain sends in the form of mental impulses down the spinal cord and through the nerves to our organs, tissues, and cells our body will cease to be healthy due to their own dysfunction. Knowing this law about our body, we can now answer the question of how to support our natural immunity. Here’s 5 things you can do to support your natural immunity against illness and disease. Support the Brain/Body Connection with Chiropractic Care. Chiropractors correct misalignment in the spine called subluxations that put pressure on the spinal cord and nerves blocking mental impulses from the brain to the organs, tissues, and cells of the body. (A subluxation is like a kink in a hose that would block the water to your garden killing your plants). When your spine is subluxation free your brain is connected to your body thus allowing the mental impulses to travel freely supporting proper function of the organs, tissues, and cells of the body. Proper Nutrition. Getting the right amount of nutrients for your body we build a strong immune system. This includes the protein to regenerate and build tissues, carbohydrates to fuel your muscles and organs, fats to support cell membranes and brain health as well as vitamins and minerals. Try to get the most natural and organic foods possible. Organic fruits and vegetables, grass fed beef, wild caught fish, healthy fats like coconut oil and organic virgin olive oil are some examples. Locally grown foods are always better choices. Avoid processed foods! Drink more WATER! The most abundant nutrient in our bodies and on our planet has never been harder for us to get. First, drink enough to provide your body with the necessary amount it needs to thrive and not just survive. Avoid caffeine, soft drinks, and alcohol that can dehydrate your body. Make sure your water isn’t contaminated with unhealthy toxins, pollutants, and additives. Sometimes even filtered water isn’t filtered enough to remove all the toxins that can reduce our health. I will be writing more on water in the future so keep following our blog to get more info on our water in the future. Alkaline Water is great to support a balanced pH in the body. Sleep: Rest for Recovery. Most of us aren’t getting nearly enough of the sleep we require. Recent studies say that we need 8-10 hours of sleep per night. If you’re not getting at least 8 hours your body isn’t going to recover from the craziness that our busy days have become in recent years. Proper pillows, a firm mattress, a cool, dark room with no electronic disturbances is best. Get rid of the digital alarm clock and replace it with an old wind-up clock. Get out of the habit of sleeping with the television on. Either get your T.V. out of the bedroom or set the sleep timer to get the REM sleep that your body needs. Free your mind. Bad thoughts are a major factor in your health. These include negative thoughts, depression, anxiety and worrying about things that are out of our control. Try yoga, exercising, breathing techniques, or get a constructive hobby. Use meditation techniques in the mornings or before bed. Set some time aside to read the Bible and get spiritually connected with your mind, body, and soul. Joshua Spine and Health Center: Because healthier is happier. Yes, it’s true. It’s the end of summer and back to school for our children. Soon our children will be hoisting heavy backpacks over their shoulders filled with important tools for learning such as books, laptops, school supplies, and loads of homework. All of these things are important for learning but when loaded into a backpack the weight of making the grade can add up. Making good grades is very important but will your child continue to make “A’s” if they have the stress of an overloaded book bag weighing down the spines destroying their posture over time even leading to stress on their brains?? What?!? Yes, I said stress on their brains! An overloaded backpack pulling down the shoulders can cause structural changes to your child’s spine leading to a forward head carriage posture thus stretching and irritating the spinal cord and brain stem. An irritated and inflamed spinal cord and brain stem leads to an irritated and unruly student. So, an overloaded backpack can not only result in lower back, neck and shoulder pain, but also regular headaches, ADD, and ADHD when this kind of physical stress is endured for a long period of time. Add it all up and that’s why backpack safety is so important for our children’s health and well-being. Here are some tips that can help parents and teachers make sure that school children aren’t carrying the wrong amount of weight so they can avoid ruining their key to maintaining good health, their spines and central nervous system. Your child should carry no more than 10% of his or her body weight. This means that a child that weighs 100 pounds shouldn’t carry a backpack heavier than 10 pounds. Make sure the backpack is the correct size for your child. A backpack should never be wider or longer than your child’s torso. A backpack should not hang more than 4 inches below the waistline. 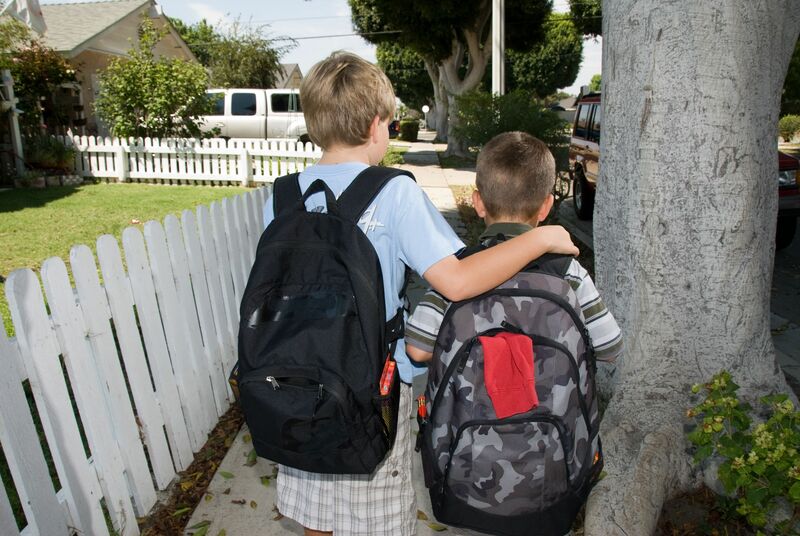 A backpack that passes the the 4 inch mark hanging lower than acceptable will cause a child’s head to lean forward when walking causing structural changes to the normal cervical curve over time. Make sure your child carries their backpack wearing both straps. It is important to have an equal distribution of weight by using both straps. Using a single strap will lead to uneven shoulders, mid-back problems, and lower back spasms. Make sure the backpack as two wide padded straps. Backpack straps without padding can place unnecessary pressure on the neck and shoulders and can be very uncomfortable in general. Make sure the shoulder straps can be and are adjusted properly. Uneven straps will cause a shift in the weight of the backpack and distort a child’s posture. Straps that are too long will cause the backpack to hang lower than acceptable resulting in forward head carriage. Get a backpack with multiple compartments. Having many compartments can help distribute the weight of the backpack better and allow it to be carried with greater ease. Having your child under chiropractic care is also a great way to make sure that their spine is in proper alignment to prevent problems and symptoms from arising. Are you drinking enough water to properly hydrate the intervertebral discs in you spinal column? Okay, maybe you’re getting your recommended 6-8 glasses of water a day but can I ask you this question. Is that enough water to replenish the water you lose in your intervertebral discs on a daily basis? This may not be enough. Our adult bodies are 60% water at best and an infant’s body is approximately 78%. Water is a vital nutrient to the life of every cell and has many important properties. Water acts as the body’s first building material, it regulates our internal body temperature, helps metabolize our foods, is an important component for our blood, helps deliver oxygen throughout our body, and helps flush waste from our body. 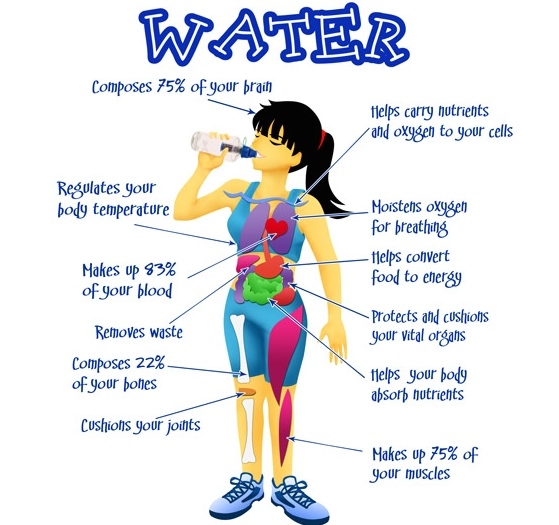 Water also acts as a shock absorber for the brain and spinal cord and helps lubricate all our joints. At my chiropractic office in Joshua, Texas I commonly see patients with disc injuries and herniations. The intervertebral disc is a fibrous pad between the vertebrae in our spines. Intervertebral discs have an outer annulus that is made of of rings of collagen fibers and a liquid gel-like central nucleus that acts like a ball bearing allowing for better movement of the spine. The disc separates the vertebrae and allows our body a greater range of motion and also acts to absorb a small amount of mechanical stress on the spine. Our discs require water such as every cell in the body does and when our bodies are dehydrated so are our discs. Being dehydrated is not good for the health of our discs and can lead to injury when stresses are applied to our spinal column. A disc that is poorly hydrated has a much greater risk for injury than one that is adequately hydrated. Staying properly hydrated can help avoid injury to the intervertebral disc. Below are some things you should know about your intervertebral discs, risks of injury, and how to stay hydrated. Summertime is here! School is finally out and many families are getting ready to take their summer vacations. 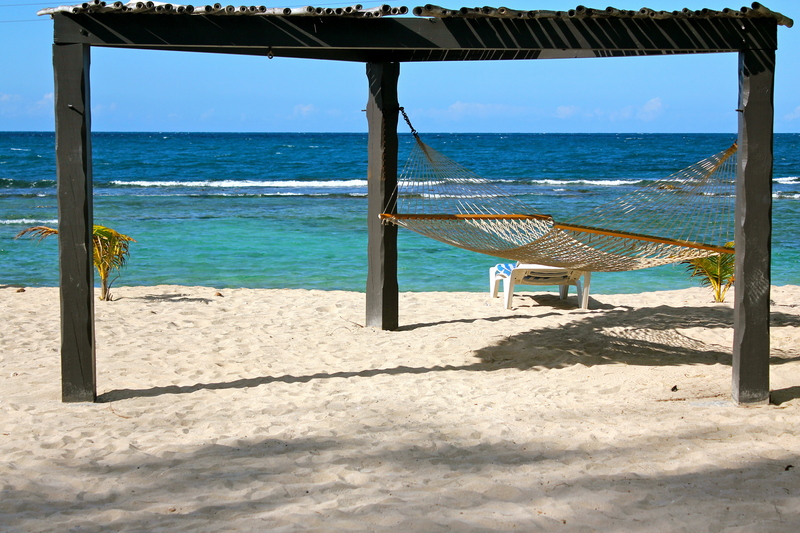 Vacations are meant to be relaxing and rejuvenating escapes from the stresses of every day life. However, sometime vacations can turn out to be even more stressful and exhausting than the rat race we run in our cumbersome stress filled lives. I’m sure you’ve heard the phrase, “I need a vacation from my vacation.” While if you’ve ever caught yourself saying these words I’m here to help you avoid coming home from your summer vacation feeling exhausted and cheated. Here’s a few tips you can use to make the most out of your next vacation. Proper Planning – Make yourself a checklist of what you need to pack to avoid forgetting important travel necessities. Make sure you have the proper directions if you’re visiting somewhere new. 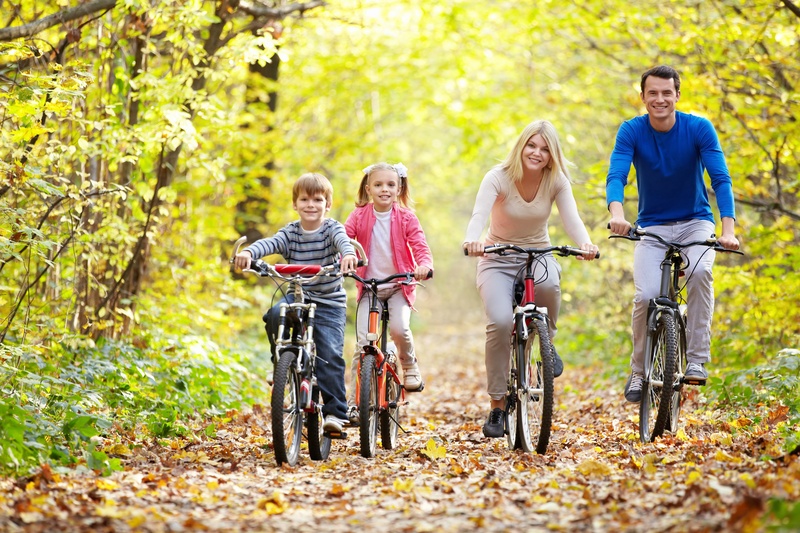 You may also may want to make a list of activities to allow for a smooth running vacation schedule. Don’t forget to make time for a little R&R (rest & relaxation). Isn’t that what it’s all about anyway? Use Proper Packing & Lifting Techniques – Don’t overload your bags heavier than you can carry without straining yourself. If you carry a backpack it should not be heavier than 20% of your body weight. Both straps on a backpack should be used when carrying it to avoid an uneven load that’s pressure can cause your spinal column to misalign. Make sure heavier luggage is equipped with wheels and a extractable handle to avoid awkward lifting. WHen loading your vehicle lift with legs and keep your back flat while holding your bags closer to your body. Try not to overextend, lean, or reach excessively because doing this puts your back and joints in unfavorable weakened positions. When storing bags overhead you should lift carefully and make sure the object is not heavier than 20 pounds or what you can handle comfortably. Ask for help with heavier luggage. Take Pitstops – The human body wasn’t made to be seated in a cramped car seat for hours upon hours. Making a few quick stops along the way is a great idea to stretch out and get the blood flowing again. Poor sitting posture in a car or airplane is hard on your pelvis, spine, nerves, and bad for circulation as well. If you’re flying get up every 30 minutes to stretch. Take a rest from the busy highways to give your nerves a break from stressful traffic. If the stress from other travelers speeding by is making you drive “white knuckled” then its definitely time to take a break from the roads. Driving breaks can vary from every 2 hours or less depending whether or not you already suffer from pre-existing back or spinal conditions. Besides, what’s the rush? You’re on vacation right? Stretch! – If you happen to be sitting in first class then you can skip this section. Back in coach with the rest of us the seats and isles are cramped! At 6’4″ I’m already feeling it as I duck and take my first step while boarding. Get up on a regular basis to stretch throughout the flight every 30 minutes. If you’re in my height bracket try to ask for an isle seat or to sit in the emergency exit row for more leg room. If you’re driving to your destination than stretch at every stop. Pre-Cautions for Pre-Existing Back and Neck Problems – If you’re already experiencing low back or neck discomfort, a muscle strain, or other injury you can pack a small cooler with reusable ice packs. Ice can be used for 20 minutes every 2 hours to reduce inflammation. If your pain is more serious you should consult with a health care professional and try to reschedule your trip for a different time. I hope some of there tips come in handy for your next trip. Just because I am a Chiropractor doesn’t mean I’m always the doctor, sometimes I’m the patient too. But, because I am a Chiropractor I’m aware of the obstacles that all healthcare providers go through on a daily basis that most often makes it harder to give our patients the thorough care they deserve. It’s stressful for both the doctor and the patient as insurance companies make it more and more difficult to let doctors give patients what they need. As a doctor of chiropractic, I understand the frustrations that today’s health care provider goes through and how they can lose hope and give in becoming an “insurance company’s puppet.” As a patient, I don’t what a puppet with somebody halfway across that country pulling the strings. Because of this I’ve come up with ten good questions to keep your health care provider on their toes and with your best interests at hand. Feel free to add to my list if you have a intelligent and positive question that you’ve asked your doctor. Remember we’re trying to help our doctors listen to us as patients not attack them. Would you recommend this treatment, test, procedure, or medication to your wife, a family member, or to yourself? Are there any complications? If so, what are the complications? What are the side effects of the drugs being prescribed? Is there any research on long term effects after taking this drug? What are the alternatives to this medication, treatment, procedure, test, or surgery? 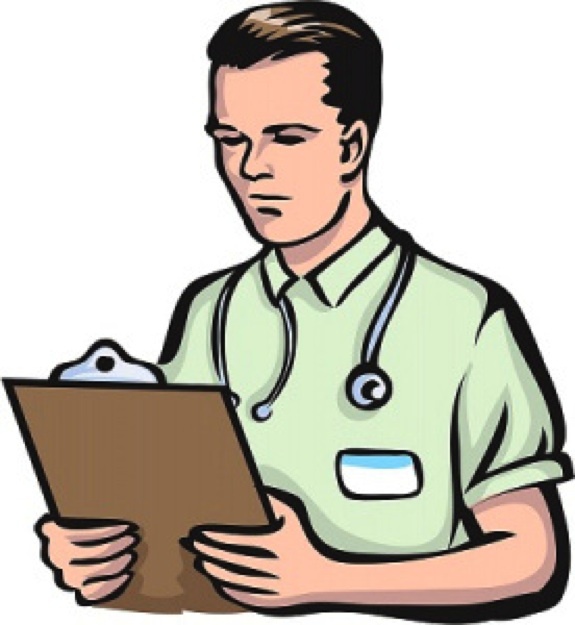 Which health care facility or practitioner will best fit my needs as a patient? Why do I need this particular test? What s the importance of this test? How many times have you performed this procedure? How many patients have this particular condition or problem? Why should I change my medication to a different medication if it’s been working okay? Will these medications interact with my other medications? Is there a NATURAL ALTERNATIVE to this medication or drug, treatment, procedure, or surgery? Inflammation within our bodies is a natural healing response that occurs to help our bodies heal from injury, exercise, infection, harmful chemicals, processed foods, and internal stressors such as emotional and mental stressors that can damage our body’s tissues and cells. Inflammation is the necessary protective response the body must undergo to facilitate the healing process. However, if inflammation becomes chronic and long lasting it can damage the body’s tissues causing the body to go into a state of distress and dis-ease. Chronic and frequent inflammation has been linked with many health conditions from Arthritis, Chronic Fatigue Syndrome, Fibromyalgia, Cardiovascular Disease, Allergies, Asthma, Celiac’s Disease, Multiple Sclerosis, Alzheimer’s, multiple skin conditions, gingivitis, and even Cancer. As you can see, it important to keep inflammation levels normal within the body in order to avoid chronic sickness and ill health. Controlling inflammation levels can be accomplished in a multitude of ways. In my chiropractic office, the first thing we do to reduce acute inflammation is apply ice to the inflamed and injured area. Secondly, in more severe cases I will recommend chronic inflammation sufferers to avoid any dairy and grain products. Dairy products contain proteins that are difficult for the body to breakdown causing inflammation in the intestines and joints. Grain products contain a protein known as gluten that causes severe inflammation in the gut thus irritating the intestinal tract. Proper nutrition plays a key role in how your body functions under stress and how it can balance out inflammation levels. Unfortunately, the “Modern American Diet” puts us all at risk because it is full of processed foods that causes high amounts of inflammation in the body. To find out more ways to keep your body in balance I highly recommend to visit http://www.deflame.com and to read all of Dr. David Seaman’s articles to learn more about eating healthier to avoid foods that can cause chronic inflammation in the body. Lastly, if needed I will suggest a natural herbal anti-inflammtory option for patients to use in order to avoid harmful stomach irritations that over-the-counter pharmaceutical anti-flammatory drugs produce. Herbal and other natural supplementation is almost always necessary in cases of chronic inflammation of joints and tissues. There are many supplements out there that can help reduce inflammation in the body as well as making changes to your diet. Listed below are some of my favorite natural supplements that I recommend to patients in my office. Omega-3 Fatty Acids – “Nature’s Natural Anti-Inflammatory” plays an important role in regulating inflammation response in our bodies. Our modern day diet of processed foods, sugars, and grains throws off the proper ratio between Omega-3 Fatty Acids and Omega-6 Fatty Acids. An excessive amount of Omega-6 Fatty Acids in our diet can cause inflammation levels to be high in the body. Supplement with Omega-3 Fatty Acids in order to keep a more ideal ratio between the them and keep inflammation levels normal in your body. Food sources are salmon, wild game, grass fed meat, fresh and wild caught fish, and flax seed. Krill Oil is also a good source of Omega-3’s and has currently gained popularity as of late. I strictly stick with fish oils from Nordic Naturals or Standard Process of Texas because of the quality assurance of these two company’s supplements (Both companies test their fish oils for mercury). If a patient has Gout and cannot do fish oils I often recommend adding flax seed oil to their regime. Turmeric (Curcumin) – The spice known as “Curry” in it’s concentrated from plays an important role in reducing inflammation throughout the body. Studies have shown the societies that use the spice curry in their diets have less arthritis as a whole. Turmeric is also a powerful antioxidant that is 5 to 8 times stronger than Vitamin E and it’s even stronger than Vitamin C too! A super supplement that has helped myself as well as many of my patients that I often recommend is Turmero-Active from Apex Energetics. White Willow Bark (Salix Alba) – “Nature’s Natural Aspirin” has been used since the Ancient Greeks to reduce aches, pains, and fevers. It has all the benefits of aspirin but none of the side effects! Use this herb if you have a headache but don’t forget to get your chiropractic adjustment too! Bromelain – Typically extracted from pineapples this supplement has been used to reduce swelling , bruising, and inflammation. It is capable of breaking down the proteins that cause inflammation. It is even used as a meat tenderizer in grocery stores because of this property. Use it to help your body to break down the proteins that produce inflammation. Who doesn’t love a little pineapple at breakfast? Boswellia (Boswellia serreta) – Is yet another herbal option used for arthritis, inflammation and it has even been said to have some anti-cancer properties. Vitamin D – Not actually a vitamin at all, Vitamin D is a hormone! It’s a super hormone that has many important jobs in our body. Our body is capable of making “Hormone D” by absorbing sunlight. Unfortunately, most of us are stuck indoors for 40 hour work weeks and locked inside during the winter months. 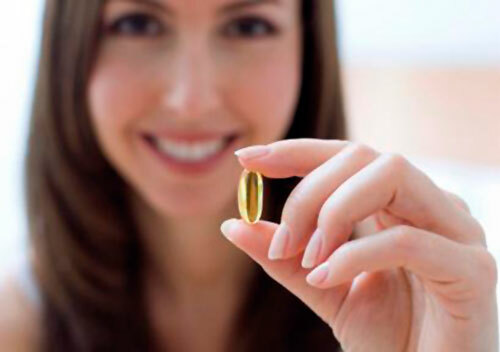 Vitamin D supplementation is an absolute must for everyone. It promotes proper immune function, tissue regeneration, brain function, bone support, and helps fight depression. Vitamin D also reduces the risk of cardiovascular disease and MS. We use vitamin D3 Gummies by Nordic Naturals for kids at our office because the important role Vitamin D plays in optimal development. Other Vitamin D products we like are Liquid Ultra-D form ApeX Energetics and Vitamin D from Garden of Life as well. At our office in Joshua just south of Burleson, Texas we carry whole food nutritional supplements by Standard Process of Texas, Apex Energetics, Garden of Life, and Nordic Naturals because of their superior quality control. Please consult with a health care professional before using any of the above suggested nutritional supplements. Some of the above herbal/nutritional supplements may react adversely with medications and other health related conditions.